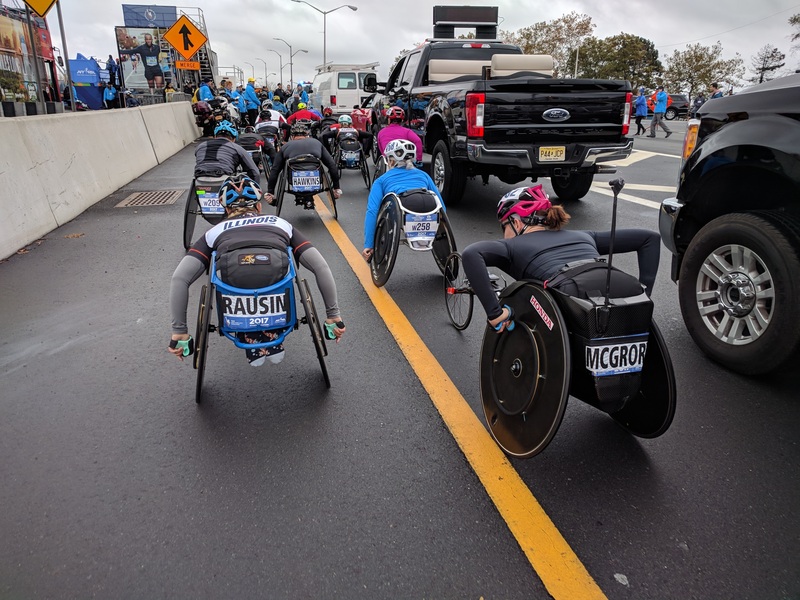 VidOvation has announced that AVIWEST’s DMNG PRO180-RA bonded cellular system reliably provided live broadcast coverage of the women’s wheelchair race during the New York City Marathon on Nov. 5. As AVIWEST’s exclusive distributor in the United States, VidOvation supplied the AVIWEST gear to CP Communications, the New York-based production service and digital media technology rental company whose expert technicians designed the video acquisition and transmission solutions and operated the equipment during the marathon. CP Communications had more than 50 technicians and nine vehicles at the marathon. 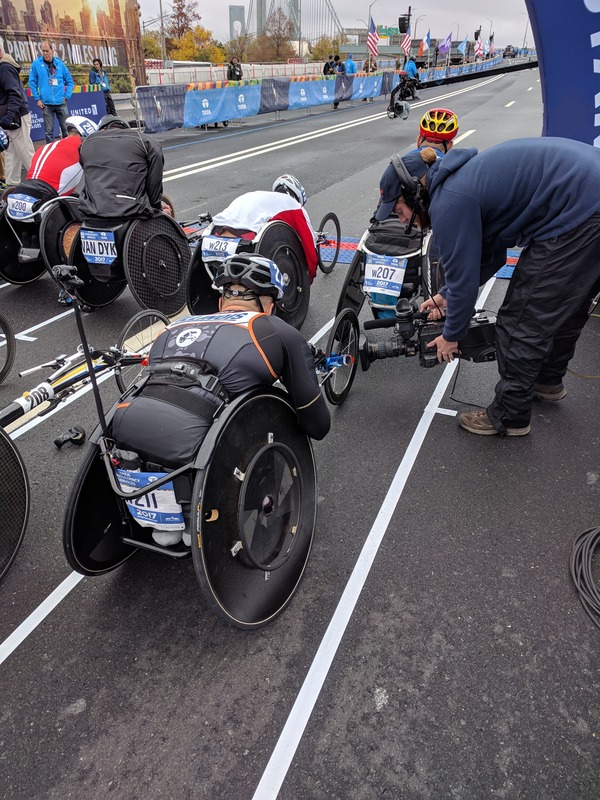 Teams were tracking alongside selected runners and wheelchair contestants, capturing live video from the course, and relaying that video to viewers of ABC, ESPN, and other Disney properties. 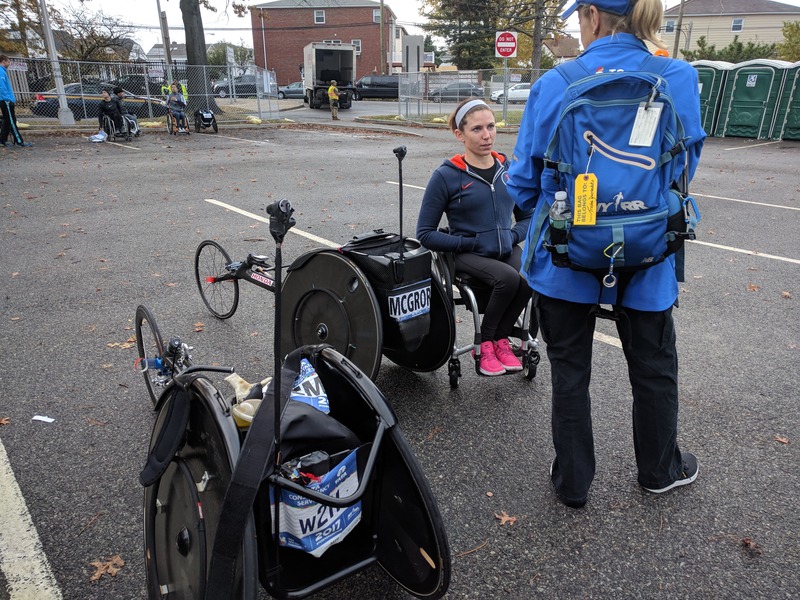 For the women’s wheelchair race, CP Communications mounted a 5.8-ounce package, provided by Inertia Unlimited and consisting of a camera, battery, and microwave transmitter, onto a wheelchair. The camera was positioned over the athlete’s right shoulder to capture the competitor’s perspective. A scooter equipped with a microwave receiver and an AVIWEST DMNG PRO180-RA unit rode along about 25 feet away from the wheelchair. The wheelchair’s POV system transmitted video to the scooter on a microwave channel, and then the scooter’s receiver handed the video off to the AVIWEST bonded cellular unit for transmission to the internet. From there, the crew in the production truck grabbed the video from the internet and passed it to the production switcher. An AVIWEST DMNG StreamHub studio receiver inside the truck accepted the signals from the scooter’s AVIWEST unit, while built-in AVIWEST SafeStreams technology applied special stream-grooming techniques to improve link quality and reliability. CP Communications used bonded cellular technology as a backup for the traditional microwave feeds related to the men’s and women’s lead runners and other selected athletes, but in the wheelchair race, the AVIWEST bonded cellular system was the only means of transmitting video from the scooter to the production area. The AVIWEST DMNG PRO180-RA is a live-video transmission system that uses up to eight 3G/4G cellular connections, two IP Ethernet connections, Wi-Fi, and satellite. Patented antenna technology, superior cellular radios, and the SafeStreams resilient and robust transmission protocol make the DMNG PRO180-RA one of the most reliable live transmission systems on the market.